We get asked this question often ... Can I keep more than one Sugar Glider together in one cage? We are also asked frequently if another Sugar Glider can be added to an existing lone Sugar Glider or a cage that houses multiple Sugar Gliders? Well, the answer to both questions is yes. Sugar gliders are colony animals that live in large groups in the wild. They are highly interactive and do best living in groups of at least two or three. Interacting with a human does provide some form of companionship, but it is not compared to that of another glider. Also, since gliders are nocturnal, most people can only spend time with their gliders in the mornings and evenings while both parties are awake. 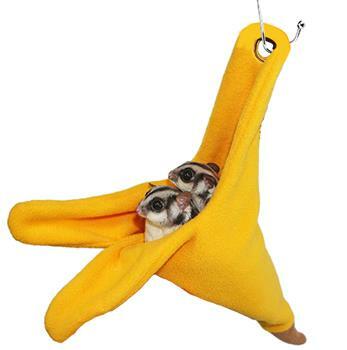 For this reason, it is strongly recommended to purchase gliders in pairs or groups to keep them socialized. You can keep multiple female gliders or multiple male gliders together in the same cage, but it is not suggested to keep multiple males with only one female. This can cause fighting between the males when the breeding season comes around. The ratio of females should always be equal to or higher than the ratio of males in the cage. If your gliders did not come from the same litter and have not been introduced, it is recommended to allow them to adjust before living together. If possible, start by housing the gliders in cages that are next-to but separate from one another. This way they can get used to eachothers smells, behaviors, etc. before interacting face-to-face. Once the gliders get accustomed to each other (after multiple days or a few weeks), you can allow them to meet and interact. It is best to make the initial introduction in a neutral space, so that neither glider feels like their personal space or property is being ‘invaded’. Make sure the meeting is carefully supervised- if there is any aggression, separate the gliders, and try again in a few days. In our experience, most gliders will adapt peacefully to the addition of another or multiple new gliders. When adding a baby glider to a cage that houses an adult Sugar Glider, extra caution should be given during the introduction process. Established adult Sugar Gliders should have a slow (2 week) introduction to baby gliders entering their domain.